* Includes end-of-chapter exercises and detailed references on parallel computing. 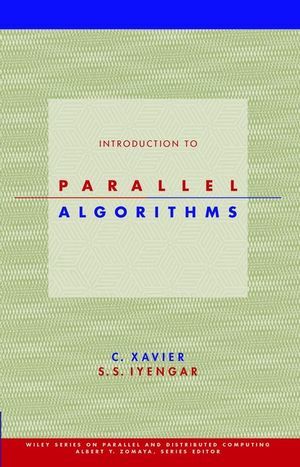 This book enables universities to offer parallel algorithm courses at the senior undergraduate level in computer science and engineering. It is also an invaluable text/reference for graduate students, scientists, and engineers in computer science, mathematics, and engineering. C. XAVIER teaches in the Department of Computer Science at St. Xavier College in Palayamkottai, India. He has published numerous papers on parallel algorithms and more than ten computer science textbooks. S. S. IYENGAR is Professor and Chairman of the Department of Computer Science at Louisiana State University. He has published several books and more than 220 papers on high-performance algorithms and data structures and has headed research projects for such organizations as the Office of Naval Research, the National Aeronautics and Space Administration, the National Science Foundation, and others. He is a Fellow of the IEEE for research contributions to data structures and algorithms and received the University Distinguished Faculty Award. Data Structures for Parallel Computing. NC Algorithms for Chordal Graphs.